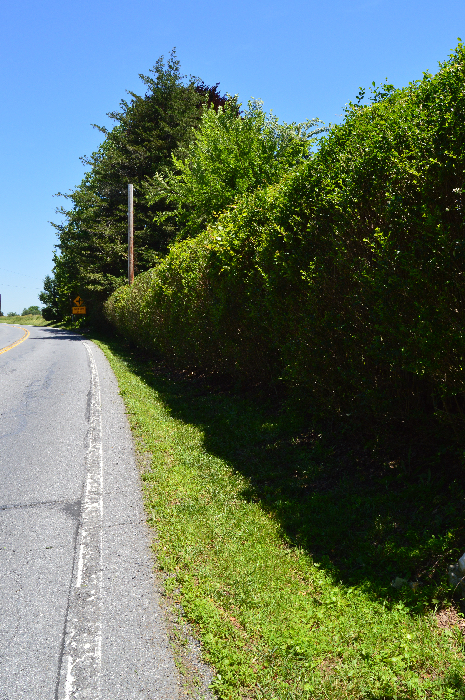 1) Hedges block sound between you and the road. 2) Hedges discourage deer and other creatures from jumping into your yard. 5) In sum, hedges are not first and foremost decorative, though they offer that too. As for the many other plants that may want to establish themselves in your hedgerow, saplings are the worst. Our hedgerow contained saplings of locust, maple, oak, beech, and mulberry. At first glance, you might think, What’s wrong with some saplings? They blend well with the hedges at first but then they grow … and grow until they are trees. Not only will trees crowd out your hedges, but they will present a hazard to traffic (fallen branches) if your hedgerow, like mine, is at the roadside. Our hedge extends 30 feet down the drive, then another 100 feet along the front of the house. Recently, I took on the hedge with electric trimmers. At first I wasn’t confident the battery-powered trimmers were up to the task, but–sharp and efficient–they surprised me. Perched atop an eight-foot ladder, I worried about toppling. I worried too that a texter would veer off the road and smash me. What I should have worried about was that eagerly-chewing trimmer. At one point, I reached into the bush to yank a vine from the trimmer’s teeth. 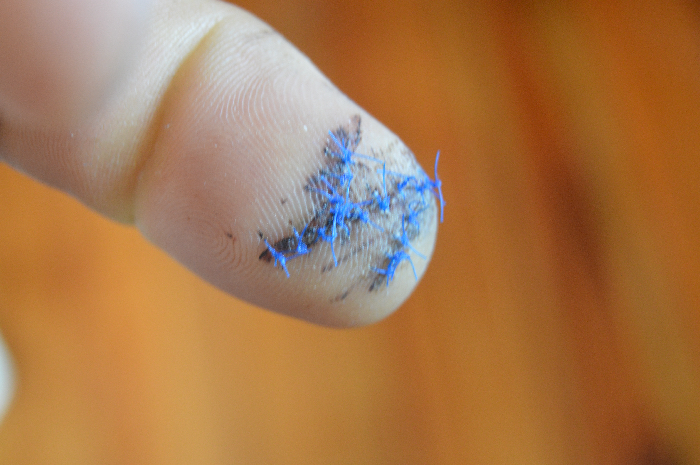 Instead, I yanked the trimmer into my hand. Yeah, you know, accidents happen. And, in the main, I don’t mind getting hurt as long as I can keep working. But, alas, I could see that this was a very deep gash. Luckily I didn’t lope off a fingertip. But, bleeding generously, I’d cut close to the bone, I could tell–which meant a trip to the ER. The only thing that hurt was the four stabs of lidocaine to numb my finger. Fingers have no fat, really, and so they feel keenly a needle jab. The accident blew my work for the day. But, after 17 stitches to close my zigzag cut, I was back at work the next day. Trimming the hedges took a total of three days, which is more time than I ever want to work on a hedge. BTW: hedges have a venerable history in agriculture, starting with the Romans. Hedges then, as now, blocked wind (which could really mess with your crops) and marked property boundaries. The now-iconic hedgerows of England were put in place after the passage of numerous Enclosure Acts, starting in the 1700s, which consolidated properties for better agricultural output and, in the process, erased much “common” land. 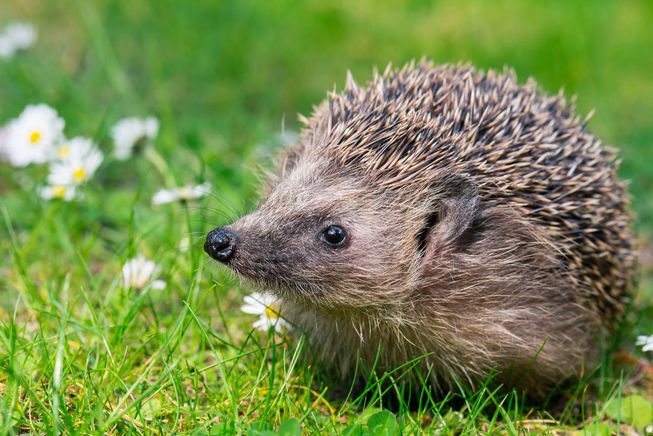 Undisturbed, for the most part, and richly vegetated, hedges became a vital habitat for many animals, most famously the hedgehog, which, alas, we don’t have in the States.